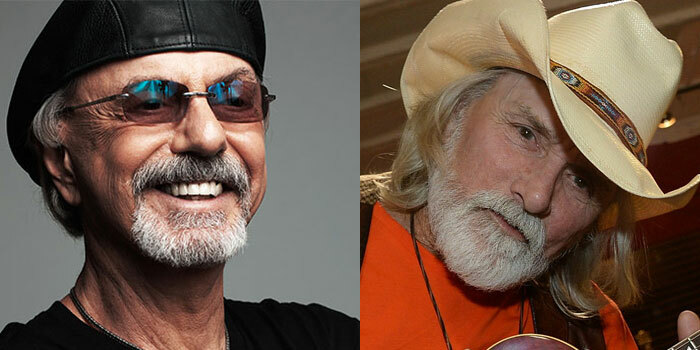 Dion and Dickey Betts both played the St. George Theatre on Staten Island this weekend. The latter, iconic former Allman Brothers’ guitarist, shredded Staten Island audiences on Saturday, July 21st. While the former, a single-named rock legend, barreled through a 17-song set on Friday, July 20th. Dion is most well-known for his hits, “King of the New York Streets,” “Runaround Sue,” and “The Wanderer.” The latter two were some of rock’s early hits, Dion being one of the last of the Buddy Holly-led class of rock artists. In fact, as history well knows, he and his former group, The Belmonts narrowly avoided being causalities on the Day the Music Died, which Dion briefly alluded to onstage. Throughout the night, Dion displayed a range of vocal maturity. Opening with “Ride with You,” from 2016’s New York is My Home, his setlist spanned his classics (“Teenager in Love”), covers (“Shake, Rattle, and Roll”), and more selections from every decade of his half-century career. The only complaint noticed from the show is that the hook was nearly absent from Dion’s closing number, “The Wanderer.” While the tempo of the music was sped up slightly to turn the classic into a rocking finale, Dion chose against singing the fun, gritted-teeth line, “I roam around-around-around,” settling instead for a few spaced-out “arounds” during the chorus. This threw off the crowd as they stood and tried to sing along with the hit they had waited all night to hear. That is not to say Dion’s voice is in poor condition. The fact is quite the opposite. Some of Dion’s newer songs featured his voice in a gruffer, more-world weary tone. His voice has aged very well and deepened appropriately from his teen-heartthrob days. On songs that require entering the Way Back Machine, Dion found his doo-wop nasal and reached his higher register with surprising deftness. The mark of a true singer is knowing how and when to preserve your register. Dion will stay it top vocal shape for years to come, no doubt. While Dion rocked the house, Dickey Betts rolled…film that is. The legendary guitarist filmed his stop at the St. George for a future DVD release, as we reported on earlier this month. Dickey Betts’ status as one of the greatest guitarists of all time is not one he will be giving up any time soon. Obscured by a cowboy hat, nobody saw this man’s face the entire time. He violated the cardinal rule (as I learned it) in stage entertainment, which is do not look at what you’re doing. Do not become self-absorbed in your action. But this man—this ICON—stared at his guitar neck all night. The nearly sold-out crowd at the St. George did the same. Dickey Betts’ guitar work is so enchanting, so hypnotizing, no one cares that he only performed ten songs. The jams are the thing that make it worthwhile. Ten and fifteen minute numbers fly by. There were many times it seemed the theater was just about to go up in smoke. The audience sat on the edge of their seat, half entranced, and half expecting the exposed-brick wall and road cases behind the band to be set ablaze by the skill on that stage. Betts’ band consisted of six members, two of them drummers. The duo of percussionists received a chunky portion of solo stage time during a nearly 20-minute session on “In Memory of Elizabeth Reed.” Seriously. Betts and crew left the stage, leaving the drummers to smash and bang for a good five minutes. At one point during “Reed,” one of the drummers switched between his kit and a station of bongos. This was one of only two or three times they used the bongo kit during the show. The fact that so many instruments were available but hardly used is a testament to the Dickey Betts Band. They are a group prepared to let the groove of the music define what they play, not the other way around. Southern Rock needs to be heard in this jamming, uninhibited way. Southern rock is like Southern fried food: crunchy, layered, and amazingly textured. Arguably, this band can get away with it because of Dickey Betts himself. Nobody is going to a Dickey Betts show expecting the resurrecting of Duane and Gregg Allman, may they rest in peace. Sure, there was “Ramblin’ Man,” “Midnight Rider,” and “Jessica.” But that’s beside the point. The songs—as recorded—become secondary. Audiences go to Betts’ shows to hear one of the most important guitarists, songwriters, and session musicians bust out his skills. There is a lack of pressure in that fact. This lack of pressure gives Dickey Betts space. Through music, and through those Jams, Betts get to editorialize on his former groups’ biggest hits. He has space to let the music breathe and transfix the audience with his skill in a way that no studio album or live record would ever translate. On a personal note, I hope our friends at The St. George Theatre know what I mean when I say this venue is one of New York’s best kept secrets. This is my fourth and fifth time out to them. They’re booking power is often equal to that of The Madison Square Garden Company, but the acoustics and the sight lines 10x better than any overbearing Manhattan venue. A not-for-profit, their team members are true lovers of music and the artists that pass through.